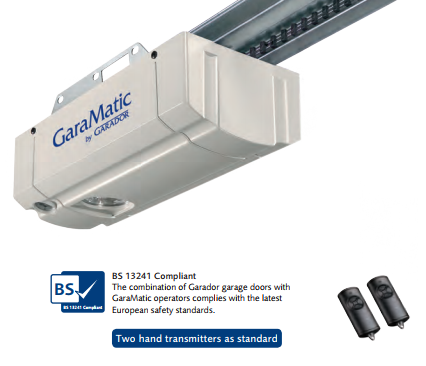 Choose GaraMatic for a Stress-Free Garage Door in Botley, and Throughout Southampton. 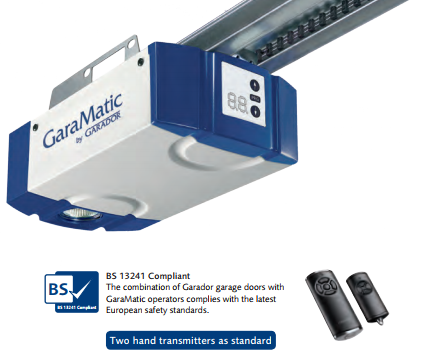 Arrive home safely, securely and in style with your GaraMatic operator, saving you time and effort with the simple touch of a button. Solent Garage Doors takes care of everything, and ensures that the product that you receive is perfect for you. Contact our team, in Botley, Southampton, to find out more about our Electric GaraMatic Operators. The one-button hand transmitter is great as a spare, or if you have several cars. It is simple to use, and is programmed into your personal, secure signal. You don’t have to worry about any of your garage doors breaking down, due to our expertise in repairs and servicing. With trained experts ready to help, you needn’t panic if something goes wrong. experts ready to help, you needn’t panic if something goes wrong.